In her short career, the talent of Amy Winehouse created a lasting impression on the music world of the 21st century. Recording three critically acclaimed albums from her debut 'Frank' in 2003, the Grammy Award winning 'Back to Black' in 2007 and the posthumous 'Lioness' in 2011 along with the covers of 'Cupid' and 'Valerie' with Producer Mark Ronson, no one can deny the talent and impact of this often-misunderstood star. Lioness provide an authentic tribute to the precocious talent featuring TV's 'Stars in Their Eyes' finalist and 'X Factor' bootcamp contestant Emma Wright as Amy Winehouse, plus a full backing band to recreate the authentic sound of this heady mix of jazz, soul and pop. With a full stage show showcasing the talent of this songstress will take you on a journey through the emotional roller coaster of her song writing, guaranteed to have you singing and dancing along throughout the performance. The band are made up of hand-picked experienced musicians, carefully selected to maintain the accuracy to the original performances of the UK's brightest star that so tragically burned out in 2011. The crafted show focuses on the vocal talent and soul of Amy, unhindered by the dark side to her addictions to alcohol and substances. 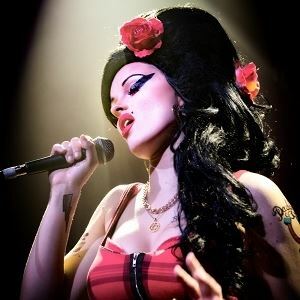 Lioness provide, without doubt, the most authentic recreation of Amy Winehouse, designed to entertain and deliver the experience of Amy at her very best.